The procedure in itself is enjoyable, most clients are so relaxed they become soporific during the application. Eyelash extensions by Embellish U have a natural look and feel. They're easy to maintain, semi permanent, water-resistant -- no need to apply mascara or any other product to your lashes daily! 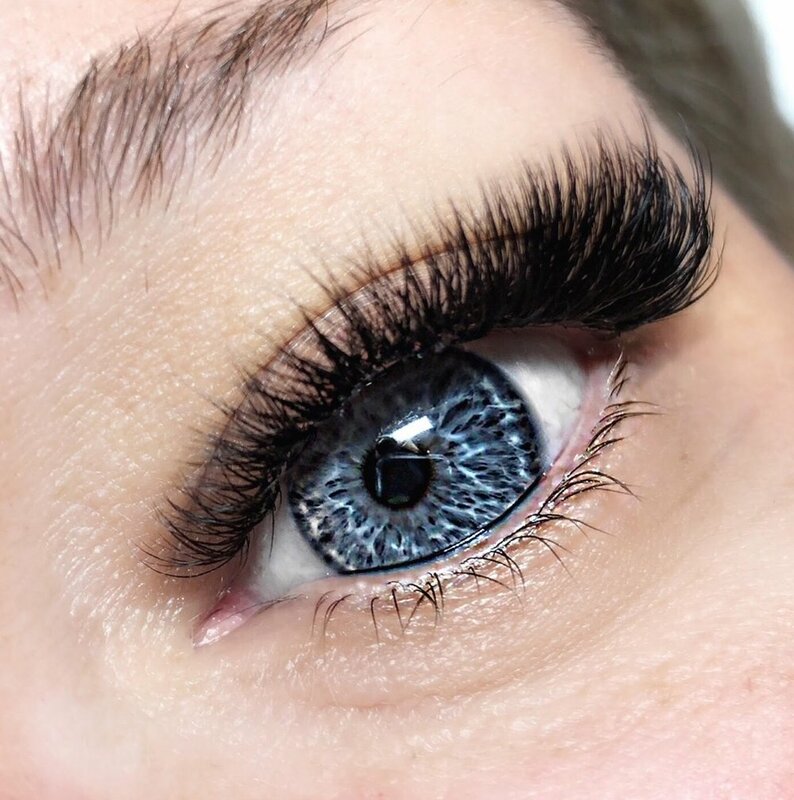 When it comes to the health and safety to maintain ones lash integrity of your eyes and lashes, it is worth the time it takes to find the safest and best qualified professional around. In the process of choosing a salon or technician to apply eyelash extensions and for any reason I’m not your choice please be sure to inquire if your technician is a licensed esthetician, and or cosmetologist. Ask to view proof of certification from a reputable Eyelash Extensions Training and Certification Company stating the technician has completed a hands-on, Eyelash Extensions Safety and Technique training course.Finally, if you do happen to choose me, I mostly prefer to start with a fresh new set of lashes. Sometimes it’s easier than having to fix any botched up mess. Then I will be fully responsible for my work when I can call it my own!! 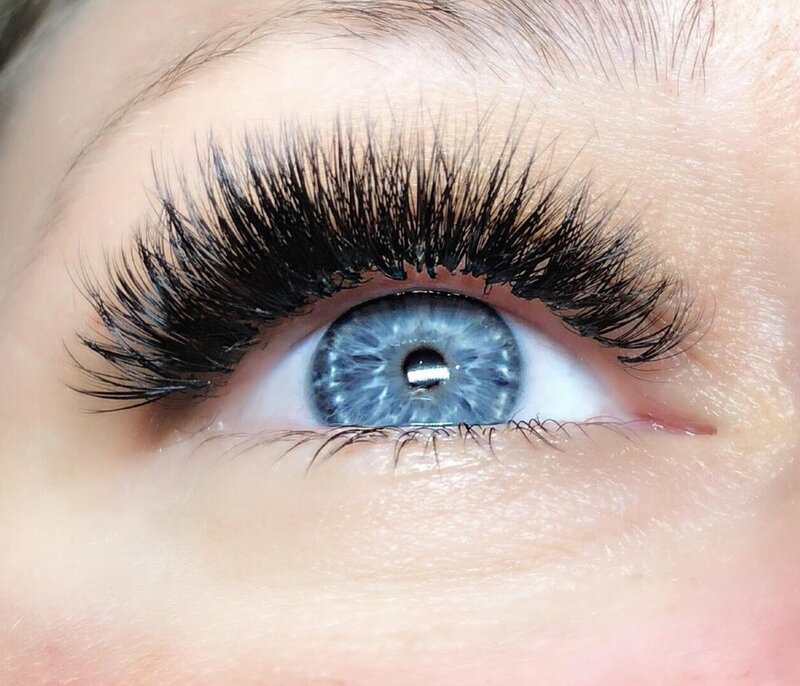 Volume Lash extensions is a new advance technique that can offer great volume, so many lashes up to three hundred and sixty per eye! Seriously it’s like POW! 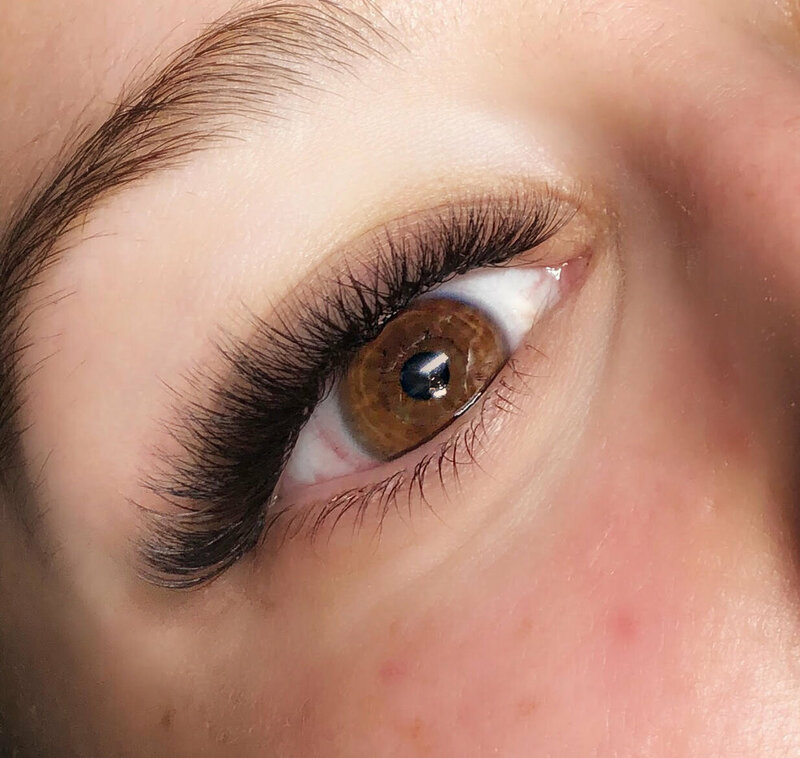 Volume lash extensions are unique in themselves to also offer to women that are not able to wear classic lash extensions, due to having sparse thin lashes, or just the woman that classic lashes aren't enough, you want more! It also helps with medical conditions, hereditary or with age, as we know things change. 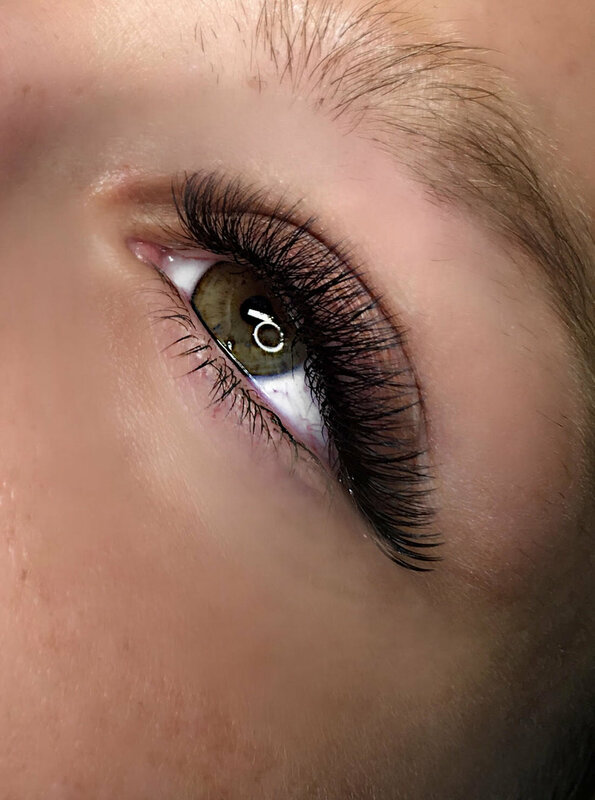 Classic lash extensions are done with one single lash extension that is applied to one of your own natural lashes at the base of your eye, but before your skin. Myself or another technician does this by using two long stainless steel sanitized tweezers. One tweezer holds the lash extension and one tweezer isolates one single natural lash. This technique is only for the most advanced lash artists. 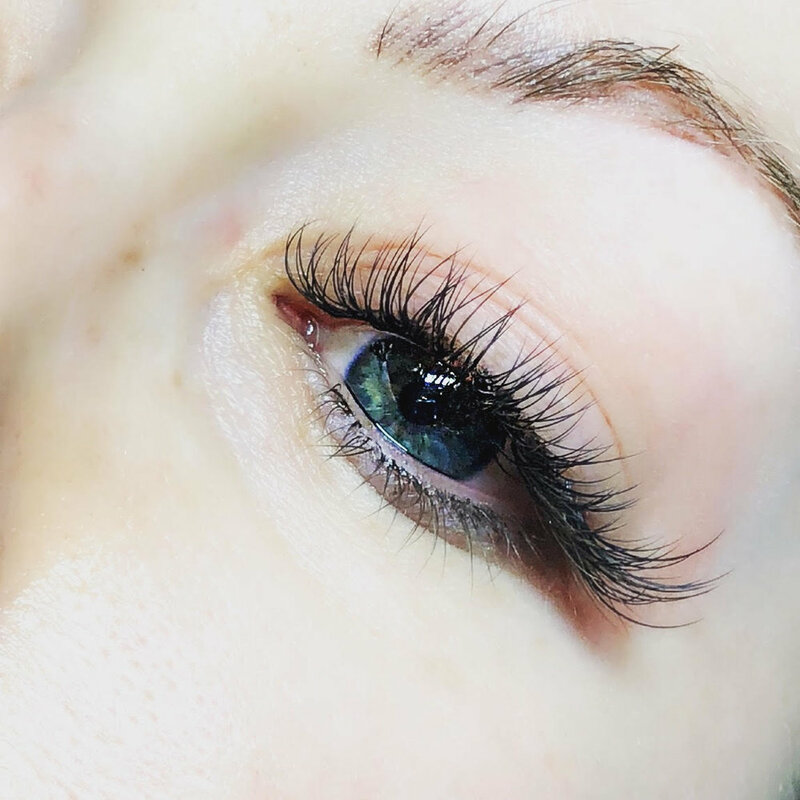 This service gives clients the darkest, most fluffy lashes of them all, truly the most luxurious on the menu. Advanced mega volume lashes are also known as 8-15d - great for someone with healthy lashes, only the healthiest lashes are lashed. Cashmere lashes are used for this look. CAUTION - Extremely fluffy and dark lashes. One of the hottest trends in the industry! Perfect for the woman who wants the look of lifted curled lashes, but with your own natural lashes. No commitment of maintenance and budget friendly. With ELLEEBANA LASH LIFT we use SILICONE rods that are applied to your eyelids, with a water based glue that is non-toxic. We THEN LIFT your natural eyelashes FROM THE BASE up over the silicone rod, with the same water based glue. We have 2 steps. First the lifting solution, then the nutralizer. These both are conditioning, nourishing, vegan friendly, formaldehyde free, and fast acting processing time. Also single use, so no worries about cross contamination. 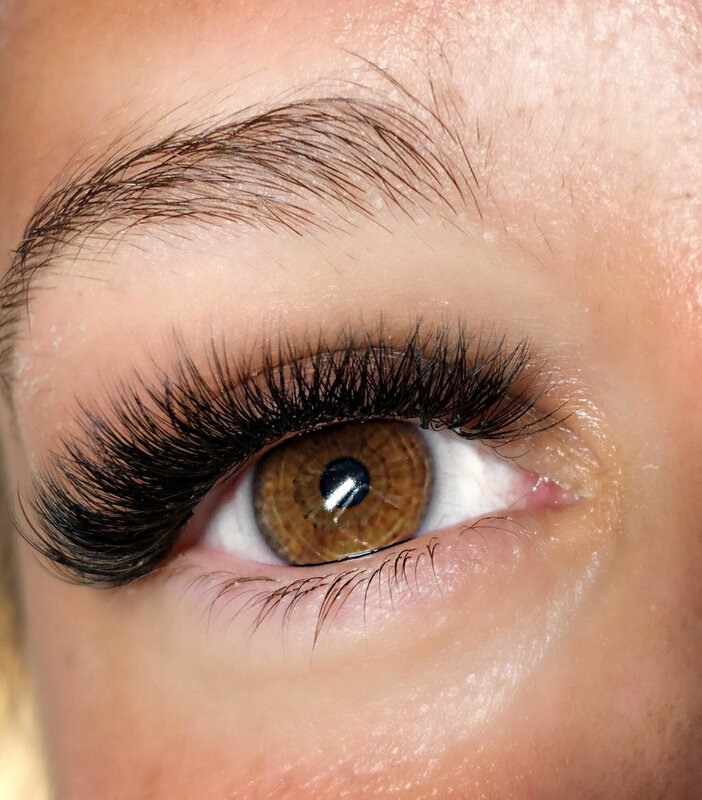 After the Ellebana Lash Lift and curl we treat your lashes with complimentary tinting, and Lash Botox treatment. To fortify and keep those lashes extra healthy for long lasting, best results. Wears in 6-8 weeks. Get ready to love your lashes and have your eyes POP! Maintenance free, add some mascara to increase the drama, for that night out. Perfect service for any Rodan and Fields or latisse lash growth lovers, lift and curl those babies! They get long, but unruly. Discontinue use of any lash growth serum 48 hours before service for best results. You can continue use of lash growth serum 24 hours AFTER procedure. Refrain from oil based products around your eyes, and steam for 24 hours. **Prices are subject to change at any time. Also every 4th or 5th fill you will incur a higher cost fill. We go thru a natural shedding period and you will require a price increase.